Eight people have been injured in Istanbul on Saturday after a gas explosion in a five-story building, officials said. Istanbul’s Governor Huseyin Avni Mutlu ruled out any terrorist attack and said the blast was caused by a gas leak or a gas canister. 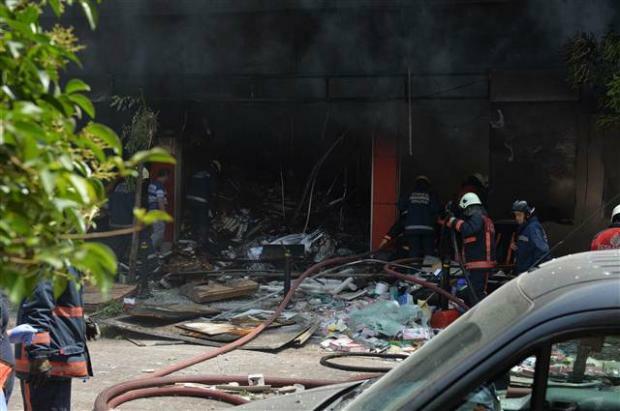 The explosion in a packaging workshop on the ground floor of the building caused a fire which was quickly extinguished, the private Dogan news agency reported. Huseyin Avni Mutlu’s office said eight people were injured in the blast; one person was in serious condition. A fire-fighter was treated for smoke inhalation, it said. Hurriyet newspaper and other reports said the injured included a pregnant woman who jumped from a balcony on the second floor of the building. The Turkish publication said some cars were overturned by the force of the blast. It is the second explosion caused by gas in as many days in Turkey. On Friday, a blast in a bakery in the southwestern city of Denizli killed one person and injured 36 others.